Oil price volatility spooked markets. Few months ago, when Brent price was storming through 80$/bbl few were strongly opposing the upward momentum, agreeing with rising prices. But just before the year end – the oil price collapsed and most of the commentators have found a reason or two to predict lower levels for oil price ahead. 30$ drop in the oil price has caused some downward revisions of forecasts. According to Reuters: analysts have slashed forecast for 2019 to 67$/bbl from 70$/bbl for WTI. 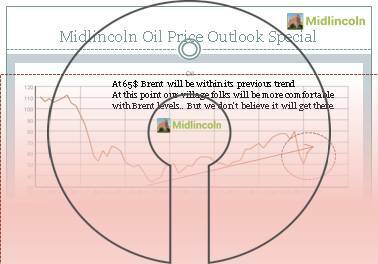 Brent forecast was downgraded to 74$/bbl 76$/bbl. Most frequently cited negative factors for downgrade of forecast are return of the unconventional (shale and ethanol) oil in the US as well as recovering production in Libya and Nigeria as well as the end of the driving season. While supporting factors for the oil price is OPEC cut and stricter compliance with OPEC production quotas as well as economic growth in the US.